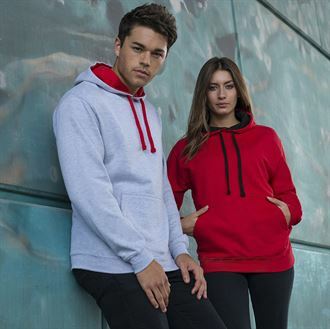 Unisex Varsity hoodie with contrast inner hood and cords. Available in over 30 colourways. 80% cotton / 20% polyester. Unit prices inclusive of embroidery of up to 5,000 stitches in one position: 25 units € 18.75 / 50 units € 17.75.